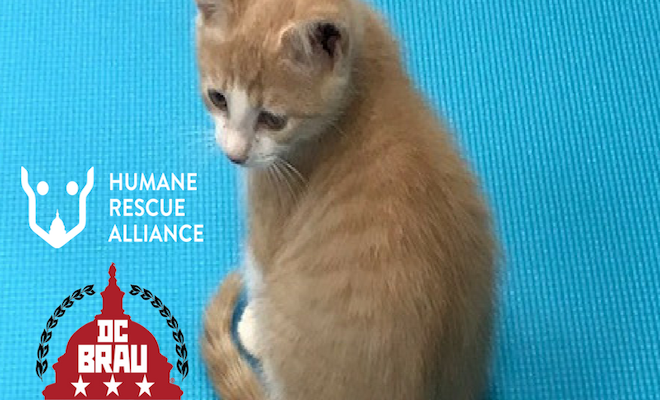 DC Brau is hosting a (mostly seated) yoga sessions with kittens to benefit the Human Rescue Alliance on January 28, 2018. Following the session, participants will enjoy a pint of beer in the tasting room. Tickets are available here and include yoga, one beer, and donation to the HRA (bring your own yoga mat).